Paint broad strokes on posters and signs and fine lines on art and crafts. This set of flat paintbrushes is ideal for a variety of kids' school projects, signage, paintings, and more. The brushes feature brushed silver ferrules and measure from 1 inch wide to 1/4 inch wide. With four brushes in different sizes, kids can paint an array of lines and strokes. The 4-3/4-inch wooden handles are a good fit for kid-size hands. Each handle has its own vibrant color. Featuring soft, white Taklon bristles to show paint's true color, the brushes are ideal for use with water-based paint such as Crayola Washable Paint, Tempera Paint, and Acrylic Paint. Recommended for ages 3 and up. 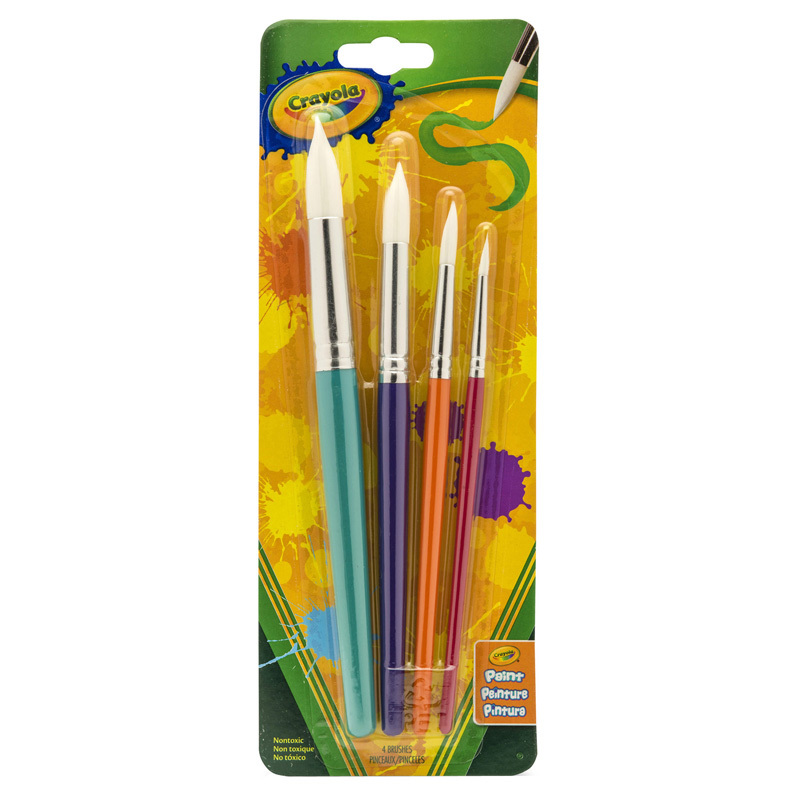 Each pack includes 4 flat paintbrushes. 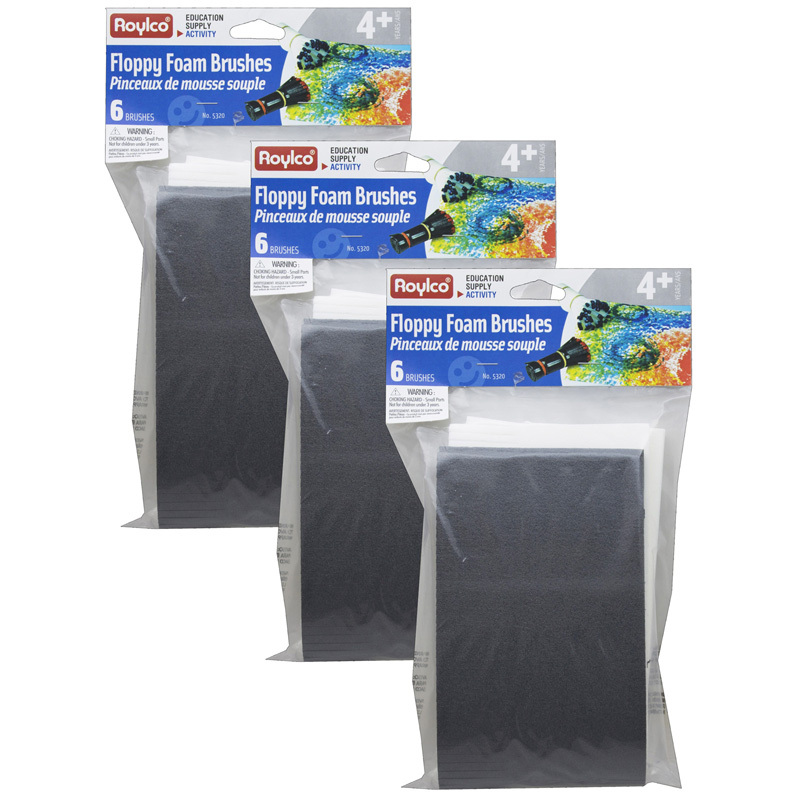 Bundle includes 4 packs for a total of 16 brushes. 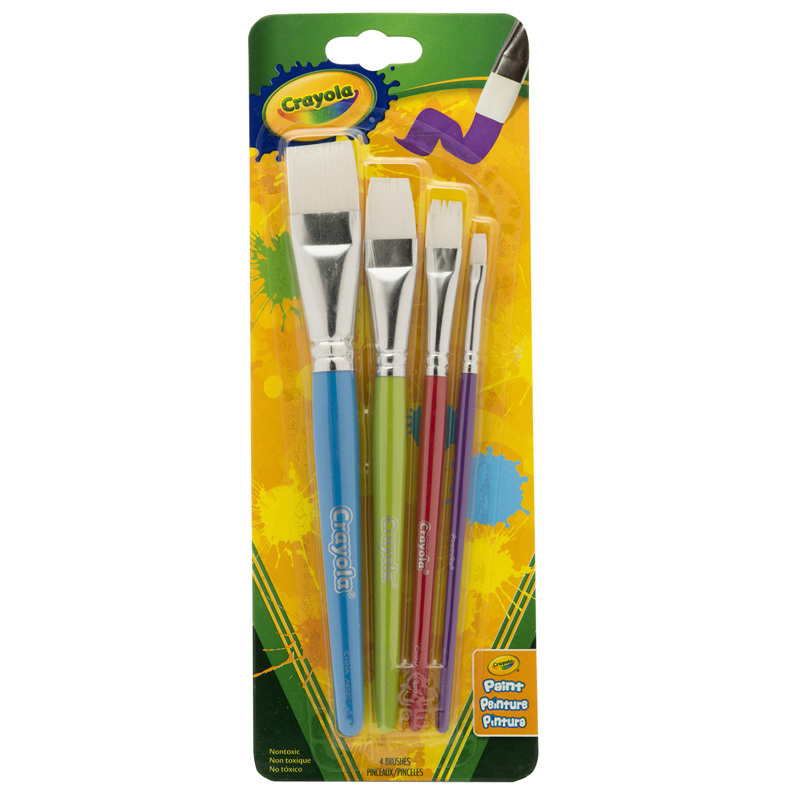 The (4 Pk) Crayola Big Paintbrush Setflat 4pk can be found in our Paint Brushes product category within the Arts & Crafts.